Many people don’t realize how significant the bond is between them and the minister who performs their wedding. I consider it vital that we connect and that you are able to relate to me as a person. On this page I am including a number of things that will hopefully help you as you are considering who will be the minister at your wedding. Most of my weddings are performed for couples who have never met me. Because your wedding is the most special day of your life, I want to alleviate any anxiety that you might have that I am inexperienced or unqualified. Here is a sort of resume. 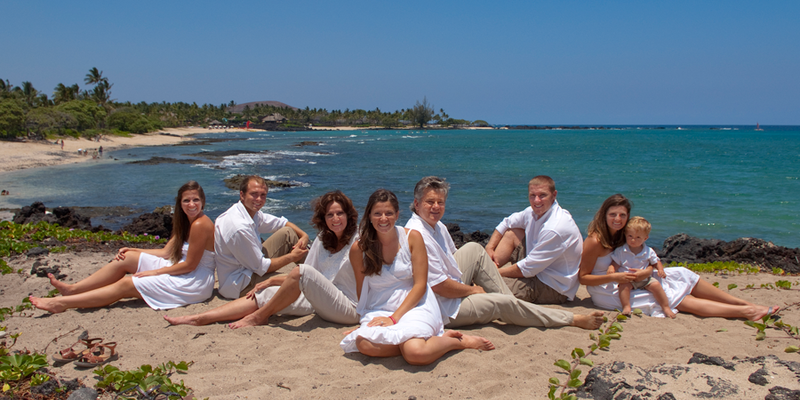 I have performed weddings at most of the major resorts in West Hawaii: The Hilton Waikoloa Village, The Orchid, The Four Seasons Hualalai, The Mauna Lani, The Mauna Kea, The Hapuna Prince, The Kona Village, The Outrigger Waikoloa Beach, King Kamehameha’s Kona Beach Hotel, The Sheraton Keauhou Bay, The Keauhou Beach Resort, The Kona Coast Resort, The Royal Kona Resort, as well as other venues. A full page photo of me performing a wedding appeared on page 32 in the June 1999 issue of Hawaii magazine. Another wedding I performed was featured in the Spring 2002 Pacific Rim Weddings magazine on pages 78-81. I have performed hundreds of weddings, two of which appeared on Japanese prime time television. I have been in numerous promotional videos for wedding companies. I have performed 3 underwater weddings. I have officiated ceremonies for several noted people in the music industry, the entertainment industry and the sports field. It has been a unique honor for me to bless couples from all walks of life and from around the world. Over the years I have done a wide variety of weddings. I enjoy weddings and I try to do everything I can to make sure everyone enjoys the wedding and goes away with great memories. ” A picture is worth a thousand words.” The wedding images on the aloha kiss site speak for themselves. My wife Susan and I are delighted to share some of our images with you. As a couple, we know how significant your wedding photos will be to you now, and in the future. With both of us photographing, we are able to shoot different perspectives with great results. Susan will shoot the ceremony while I officiate. Then we will team up to get the romantic and candid shots. Our vision is to bring out the best in you on your special day. Photography is one of my passions. I bought my first camera while I was in college. During my last semester of seminary, (when I should have been studying to finish my Bible and systematic theology courses) I signed up for a night class in photography at a local college. That first class about composition, the rule of thirds, aperture, shutter speed, depth of field and dark room developing sent me on a life long quest to take the perfect photograph. Art and creativity intrigue me. Great photography is always challenging. Wedding photography presents a unique set of challenges. I feel very privileged to have photographed some great couples who knew how to have fun and love each other while being photographed in paradise. Sunset photography, and out door photo shoots require the photographer to develop unique skill sets. We look forward to capturing those images that you will treasure, and that will hang in your home and daily remind you of your identity as a couple. I was born in Phoenix, AZ. My grandparents pastored in Phoenix, and my parents pastored in Mesa. My earliest memory is standing on the front steps of my grandfather’s church one night watering the church lawn. That moment seems prophetic to me. My entire life I have endeavored to bring the water of life to people who are struggling through dry times or dark times. I grew up in Tennessee. I graduated from Lee University where both my parents were professors. I earned a Master’s degree from our denomination’s seminary. I did my internship in New York City. Part of my responsibilities were resettling political and religious refugees. I went to language school in Guadalajara, Mexico and went to work as a missionary teaching at a seminary in Hermosillo, Mexico. In 1983, my wife Susan and I moved to Kona and became the pastor at Kona Church of God. I absolutely love the church and my role in the church. I am an ordained bishop, which is the highest rank in my denomination. Hawaii has been the perfect place for me to enjoy doing my favorite things. I love to ride mountain bikes, hike, and scuba dive. I enjoy woodworking. I always seem to have some sort of project I’m working on. I love music. I have played drums since I was 13 years old. I now play keyboards at our church. My favorite sport is soccer. My family is such a treasure to me. My wife and I were married January 1982. Susan teaches kindergarten at a private Christian school. She was born in Cuba. She is a beautiful wife, an outstanding mother, teacher, photographer and a great cook. I am blessed! Our daughters are the joy of our lives. Each one is unique. Being a dad to three of the most amazing daughters has opened my eyes. I walked the aisle with our firstborn in 2006. It was such a profound experience, I will always try to help other dads make the most of walking their little girl down the aisle on her wedding day. Because of the value that I place on family, it seems natural for me to have gravitated toward performing weddings. I hope that I have the opportunity to be part of your dream wedding or renewal of vows ceremony here in Hawaii. © AlohaKiss. Website: Inoa Technologies.